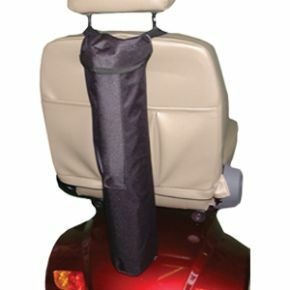 This oxygen bottle holder can be used on both wheelchairs and scooters. 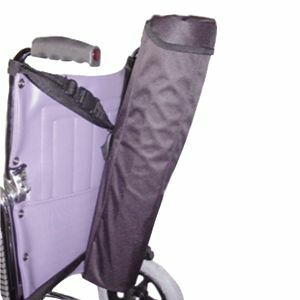 The large velcroed opening allows the bottle to be inserted or removed with ease. The flip top design allows easy access to the valve assembly and keeps the bottle both clean and dry. It can be used with both DD and PD bottles.